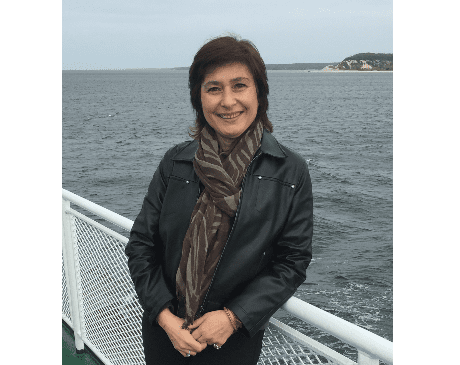 Ece Algur, MSOM, LAc, is a fully licensed, certified acupuncturist who administers a range of relieving procedures to the women and men of Long Island, New York. As an integral member of Evia Medical Center in Smithtown, New York, Algur specializes in acupuncture and non-invasive pain management. She holds a Master of Science degree in health sciences and oriental medicine and is board-certified in acupuncture and Chinese herbal medicine by the National Certification Commission for Acupuncture and Oriental Medicine. Algur also holds a New York State license in acupuncture as well as a California State license in oriental medicine. She works closely with the Acupuncture Society of New York in educating the public and health professionals about the benefits of acupuncture and utilizing a holistic approach to medicine. Traditional Chinese medicine is actually Algur’s second career and third milestone in her life. After pursuing her first career as a medical physician specializing in radiation oncology in Istanbul, Turkey, she took a leave from practicing medicine to take care of her family. She subsequently returned to the medical field, this time in a different discipline, with a new perspective. Now, as a traditional Chinese medicine practitioner, her passion is to be a healer who provides a holistic approach to medicine in order to maximize the effectiveness of her treatments.